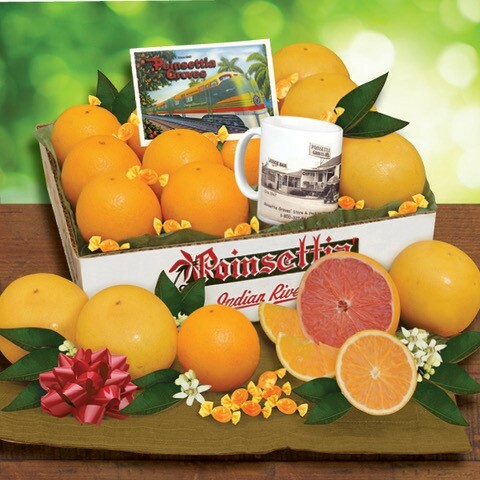 SAVE $5 on this special gift that captures the spirit of old time Florida. 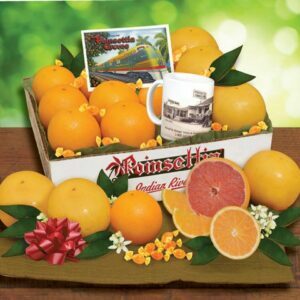 It’s filled with your choice of Oranges & Grapefruit or all Oranges, plus we add a signature ceramic Coffee Mug picturing our Florida grove store from 1950. We also include a vintage inspired Poinsettia Groves Postcard, and we top it off with sweet Orange Candies.